As previously noted, the only way to assess the progress of any fundraising process is when that process (the plan) has every step and component listed on a timeline … one that was agreed to by everyone before starting the process. 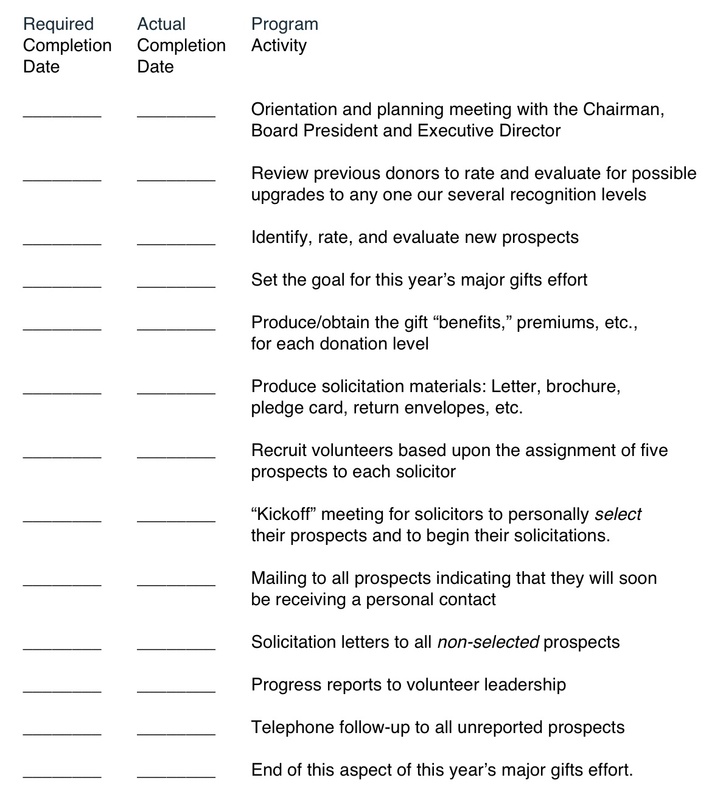 What follows is a sample Calendar/Action Plan for the Implementations of one segment of an annual Major Gifts Fundraising effort. Whether for a new or ongoing fundraising program, the use of a Calendar & Action Plan works. No one should think to kick-off any fundraising effort until, and unless, they have the key tasks identified and the required completion dates agreed to. 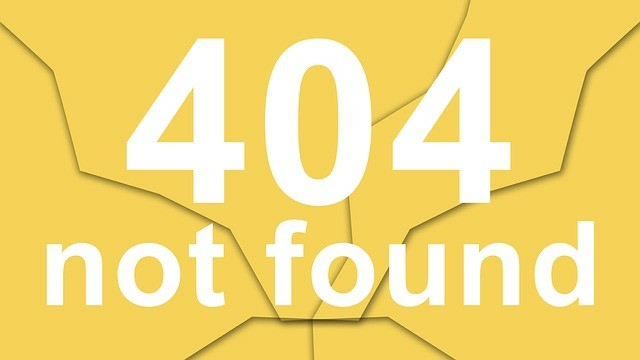 Therefore, when you meet those dates, there’s no questions whether your program is on time; and, everyone (Board Members and CEOs) can see, from the very beginning, that the development team was working to a given and clear timeline with identifiable benchmarks. A question was raised (in a listserve) about evaluating the performance of a development officer who was hired within the last year, and the easily-tossed-around phrase/concept, “Cost-per-Dollar Raised,” was suggested to be used to provide an answer. If you do use that concept, then you must be sure to apply that calculation to each element of the income generating process – with the understanding that all of the elements that are part of the process involve different amounts of time, labor and funding. Donor acquisition, the most expensive part of the “development” process, is a necessary investment. And that’s what it is, an investment. You often spend $1, $2 or $3 to obtain a new donor, a new constituent – that’s money spent to acquire a new donor, not to raise a dollar. To talk about cost-per-dollar-raised for donor acquisition is to not understand the process or its purpose. Direct Mail fundraising, as distinguished from direct mail donor acquisition, is used to solicit lower-rated donors, and therefore has a different/higher “Cost” – anywhere between 20-50 cents-on-the-dollar, than does a Major Gifts program or a Capital Campaign … which focus on the large gifts – usually with a “Cost” of five-to-ten cents-on-the-dollar. So, back to the original question: If a Board is attempting to evaluate the performance of a new development person and/or the programs s/he has initiated, there needs to be some time – likely a multi-year period – for the person to learn enough about the NPO, and for his/her programs – through the normal process – to begin to mature. To expect instant results is delusional. And to judge a new development officer on the basis of performance without allowing him/her to learn what has to be learned, nor allowing him/her to emplace/test/revise/expand those programs/activities that will be most effective in raising the needed funds, does everyone a disservice. If would like to comment/expand on either of the above pieces, or would just like to offer your thoughts on the subjects of this posting, we encourage you to “Leave a Reply” at the bottom of this page.